A Family of Musicianaries: A Spiritual "Cold"
*NOTE* This blog has moved! When you finish reading this post, be sure to head over to www.stilllearningtofollow.com for more from A Family of Musicianaries. I have a really nasty cold. Yesterday was the worst! My eyes were watery, my nose was runny, and I had a cough that would send even the bravest of souls running in search of clean air to breathe. I felt absolutely awful! I slept more than eleven hours the night before last and then barely made it to lunchtime before I needed a nap. Josh and the boys were very sweet and took good care of me. They were kind, compassionate and helpful. When a friend has a cold, she feels awful and probably looks pretty bad too. Everyone around her can see that she is sick and it's usually not pretty. But, even though she looks bad and might even be contagious, we are generally kind and compassionate. We express our sypmathy and ask if there is anything we can do. This kindness is expected among friends. We know she would do the same for us. 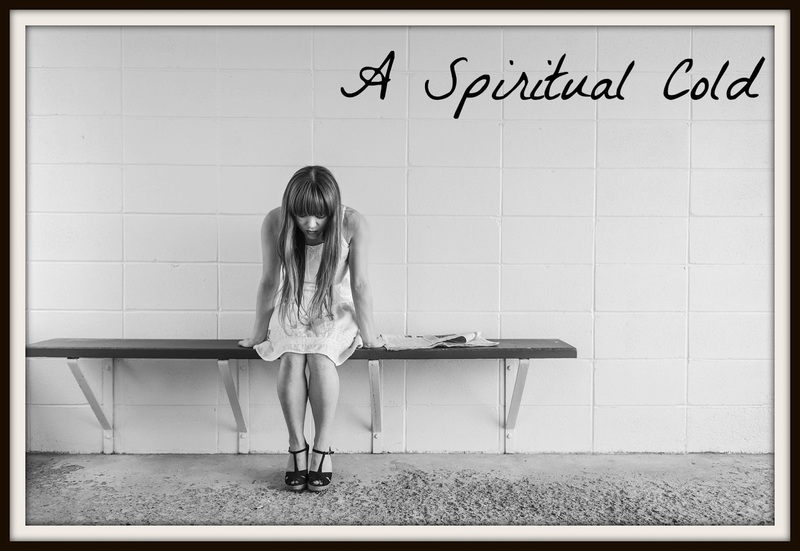 Sometimes though, our friends aren't physically ill, they are spiritually ill. Sometimes they get a spirtual "cold". The symptoms are often unattractive. She may be grumpy or impatient, harsh or unkind, discouraging or depressed. However, a spiritual "cold" doesn't usually invoke the same kind of compassion as a physical cold does. Why is it that we look with sympathy on the friend who is coughing, but we look with judgement on the one who seems to never have anything good to say? We need to learn to have grace for our friends when they are suffering with a spiritual "cold". As I remembered this lesson, I was thinking about my own tendency to be irritated with my Christian brothers and sisters when they are not as kind as I think they should be. Of course, my initial thought is that the two are different because sin is a choice but a physical cold is not...Hmmmm, interestingly enough, I know exactly why I have a cold right now and it's probably, kind of my fault. You see, I typically have a pretty strong immune system. My entire family can be sick and I often won't catch whatever they have. However, there is one factor that ALWAYS guarantees that I will catch some kind of bug - lack of sleep! If I go several days without getting enough sleep, I will inevitably get sick. I've been this way my whole life. It never fails! Perhaps the next time someone I expect more from treats me unkindly, I will remember my bag of cough drops and will smile with compassion and whisper a prayer on behalf of that friend. "Lord, teach me to love like you do!" Starting our tour off with a BANG!